Mexicali, capital of Baja California, is located at the northeastern portion of Baja and borders Calexico, California. The city, which is 105 years old, has a strong and dynamic economy. It enjoys one of the nation’s best employ­ment rates and has a higher quality of life than the national medium. Mexicali offers a complete and modern infra­structure, which in addition to including modern urban areas, also offers many opportunities for amusement, sports and the enjoyment of Mexico’s rich traditions. Mexicali has conquered growth in many aspects, most notably the industrial area. There are currently 21 industrial parks that attract more than 130 national and international companies. Among them is a $30 million aerospace lab, the largest in Latin America. These compa­nies offer approximately 55,000 jobs. 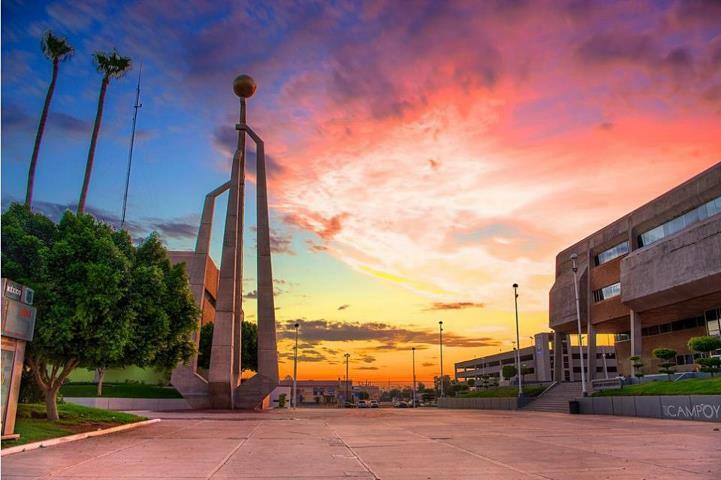 Mexicali is also well known for its more than 12 universities that offer internationally valid programs and diverse specialty areas. Another area of growth includes the many expos, conventions and events that bring many visitors to the city. The newest such venue is the Convention Center of CEART. Plus, visi­tors from the rest of Mexico find traveling to Mexicali easy because of the numer­ous daily flights. After 9/11 the U.S. Government now requires Americans to have a passport to re-enter the USA. Citizens of other countries should verify with their consulate or embassy that they can enter Mexico and also re-enter the U.S.A. See this US Government website for details and online application information. Getting Mexican Insurance is an absolute must because Mexico does not recognize American insurance as being valid. This means that if you become involved in a car accident you and your car will be detained until the guilty party is determined in front of a Mexican Judge. And automobile accidents are considered criminal offenses and you will have to wait in jail till the court date. Smart people get Mexican Insurance from BajaBound.com an inexpensive online carrier that accepts AE, MC, and VISA. [www.bajabound.com] Thus you do not have to stop at the border to get your insurance. Since virtually every visitor to San Felipe comes here by road, get your insurance and you’ll not have to worry about being insured. The most popular route from San Diego is to take Interstate 8 East, then exit onto freeway 111 south to Calexico; 120 miles to Mexicali. The selection of cuisine in Mexicali is very diverse, with Chinese being one of the city’s specialties. Traditional Chinese restaurants started in the 1930s when Chinese immigrants first arrived here via the Sea of Cortez and settled into the area, fusing both cultures. Today, there are more than 120 Chinese restau­rants in Mexicali. In addition, Mexicali has international restaurants that offer the attention you deserve. You can also enjoy carne asada and world-class beers, which are distinctive to the area. Today, there are many small breweries that offer great varieties in terms of taste and characteristics. If you prefer wine, you can sample the finest wines that are produced in the vineyards along the Pacific coast in the nearby Guadalupe Valley. Some highly recommended places to dine are Los Vagones (Mexican and international food next to the border), Sakura (Japanese Cuisine), Mezzosole (Italian food at Hotel Lucerna), Fonda de Mexicali (Mexican food at Hotel Araiza), El Sarape (Mexican food and mariachi), Heidelberg (German and international), Premier Restaurant (International Restaurant at Crowne Plaza), Chalet Restaurant (Interna­tional Restaurant at Hotel Siesta Real), Los Arcos (Seafood), El Rincon de Panchito (Chinese Restaurant) and China House among many others. 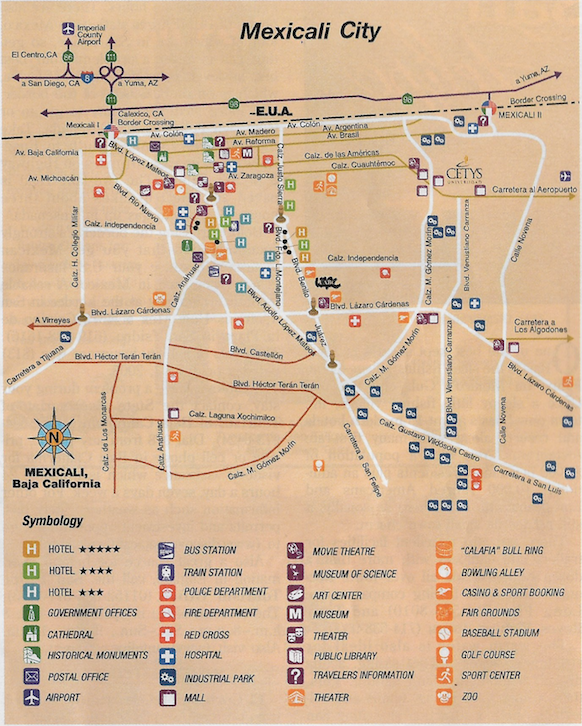 Mexicali offers visitors many top-qual­ity hotels that encompass all budgets and tastes. Hotels offer first-class customer service and pay careful attention to your needs with all the best amenities. The city is equipped with a complete and modern infrastructure, which guar­antees success for tourist-related events, promotions, expos and conventions. It also has an important and capable hotel structure, which supports events with a total of 2,000 hotel rooms, with very important hotel chains in the city. Mexicali is not only business, but also offers exciting activities and places to visit. Take your family to the Sol del Nino interactive museum, where the main rule is “touch and play.” Visit the IMAX Theatre with 3D giant screen technology. Not far is Bosque de la Ciudad. This park has a man-made lake and a beautiful zoo. Young people and children will have tons of fun riding the water slides and splashing around in the kiddie pool. For those who enjoy golfing, don’l miss the Club de Golf Campestre de Mexicali. It’s an 18-hole course that fea­tures huge fairways, greens surrounded by water hazards, and sand traps for an excellent and challenging course. If you enjoy hunting you will bo excited by the variety of exotic fauna that inhabit the Valley of Mexicali. Wildlife includes birds such as the “Cerceta,” golondrina duck, mountain quail and pheasant. Mexicali hosts many important regional events such as Agro Baja (www.agrobaja.com), an internationally renowned agricultural event that receive; more than 50,000 people in just three days. They also have the Fiestas del Sol, a fair that lasts almost a month and where you can find all types of fun; the Bajaprog (www.bajaprog.com), an internationally acclaimed rock festival; and magnificent concerts at the Laguna Salada. Mexicali’s traditional Fiestas del Sol will be held in September at the main regional fairground. More than 400,000 visitors attend each year. For details, visit (www.fiestasdelsol.com.mx). Exciting off-road racing is held throughout the year. Races are organized by well-known international associations like Score International and Code. The new McMillan 500, Mexicana Logis­tic 300 and Score San Felipe 250 are some of the biggest competitions that take place in the Mexicali area. Plus, there are Sand Drags and motorcycle races to complement the automotive entertainment. 65 kilometers (40 miles) from Mexicali, México and 7 minutes from Yuma, AZ you will find the border crossing between Los Algodones, Baja California and Andrade, CA. Los Algodones is one of the oldest farming towns of the region and an important destination on the Inter California Railroad route. For more information contact The Mexicali Convention & Visitors Bureau : toll free 1-888 COTUCO2 (686) 551-98-00/01. One of the main attractions in Los Algodones is the variety of traditional Mexican arts and crafts that tourists can find. There is a great variety of shops and stands where artisans offer their wares to tourists. You can find wood work, clay, wrought iron, as well as jewelry made with exotic stones and precious metals, like gold and silver. In addition to Mexicali, Los Algodones provides diverse health services of the highest quality. Most remarkably dental, optical dermatology services are offered, performed by medical specialists supported by cutting edge technology to bring the most comprehensive and authoritative healthcare to the region. 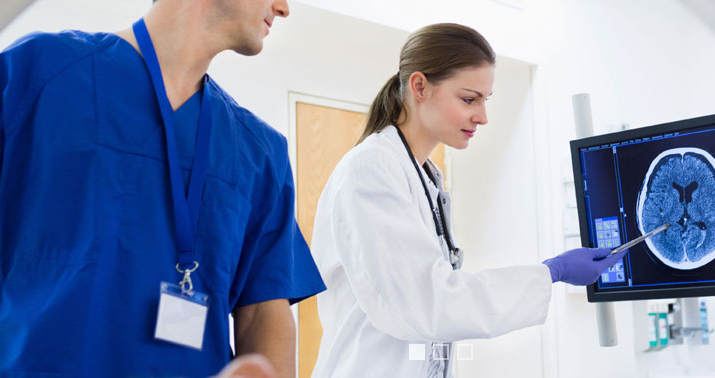 Doctors, nurses, and all staff are completely bilingual and are always prepared to attend your needs with a friendly smile. Their academic level is very high and is recognized by several institutions in Mexico as well as in the United States. Nature enthusiasts can visit and have fun at the sand dunes or admire a panoramic view of the Valley of Mexicali. The prices of these services are very low compared to those in the United States and Canada. This is the reason why tourists go there to have routine physical check-ups or to treat their illnesses in the clinics of Los Algodones year after year. Mexicali hosts many important regional events such as Agro Baja (www.agrobaja.com), an internationally renowned agricultural event that receive; more than 50,000 people in just three days. They also have the Fiestas del Sol, a fair that lasts almost a month and where you can find all types of fun; the Bajaprog (www.bajaprog.com), an inter nationally acclaimed rock festival; and magnificent concerts such as Luciano Pavarotti at the Laguna Salada took place in October 2003 and attracted 50,000 visitors. Mexicali’s traditional Fiestas del Sol will be held in September at the main regional fairground. More than 400,0011 visitors are expected each year. For details, visit (www.fiestasdelsol.com.mx). If you are a baseball fan, you will certainly want to catch the spirit of the Liga Mexicana del Pacifico, Mexicali’s professional Baseball League. Every year from October to January, you can support the local team, Aguilas de Mexicali, by attending their exciting games held in the Casas Geo Stadium. The team boasts players that are recognized both in the United States and all over Latin America. Mexicali is proud to have been the host of the Serie del Caribe in February 2009. For those who love bullfighting, the Plaza de Toros Calafia hosts the best regulated bullfights throughout the year. It is also a magnificent venue for other events, such as local festivals and large concerts featuring national artists. SCORE INTERNATIONAL and CODE. The new McMillan 500, Mexicana Logis­tic 300 and Score San Felipe 250 are some of the biggest competitions that take place in the Mexicali area. Sand Drags and motorcycle races complement the automotive entertainment. The Los Algodones traditional “Welcome Party” is held the first weekend of December, and it has been organized for twenty eight years by tourism services, merchants, and other professionals, with support from the Tourism Bureau of the State Secretary of Tourism. The locals show their hospitality to the visitors, offering them free food and drink. The festivities are marked by cultural events, traditional dance and a local artist presentations. The Los Algodones “Spring Party” is another traditional celebration in the town, with similar themes from the Welcome Party, the La Paella Festival . Other important events that tourists enjoy in Los Algodones are the Day of the Dead Celebrations in November, the Independence Day Parade in September, and Sports themed events such as sand drag races, sand boarding, among other thrilling activities. For more information please contact The Mexicali Convention & Visitors Bureau : toll free 1-888 COTUCO2 or (686) 551-98-00/01, or visit the Mexicali Tourism Board online at (www.mexicaliturismo.com). You can also call (888-342-7323) or e-mail (info@mexicaliturismo.com).